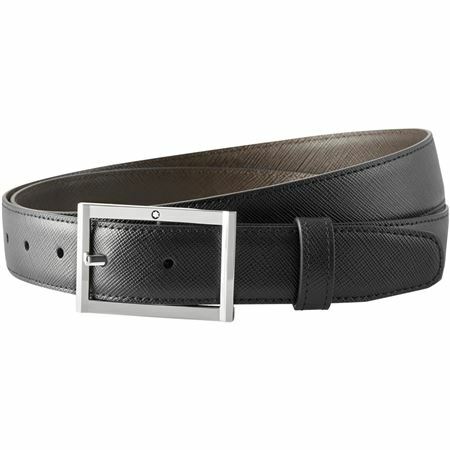 Order your Montblanc Rectangular Pin Buckle Reversible Leather Belt - Black/Tobacco today from FahrneysPens.com. Fine Pens, Refills & Luxurious Gifts – great prices & fast shipping. The Montblanc Men's Rectangular Pin Buckle Reversible Leather Belt features a shiny stainless steel pin buckle with a self-adjustable, reversible black & tobacco Saffiano printed leather strap matching the Montblanc Sartorial Leather Goods range. Suitable for both business and casual wear.